HELSINKI/TURKU, Finland, Aug 21 (Reuters) - A Moroccan man suspected of stabbing dead two people in Finland was known to Finnish intelligence as a suspected extremist but was not being monitored, authorities said on Monday, as the prime minister urged parliament to fast-track a new security law. 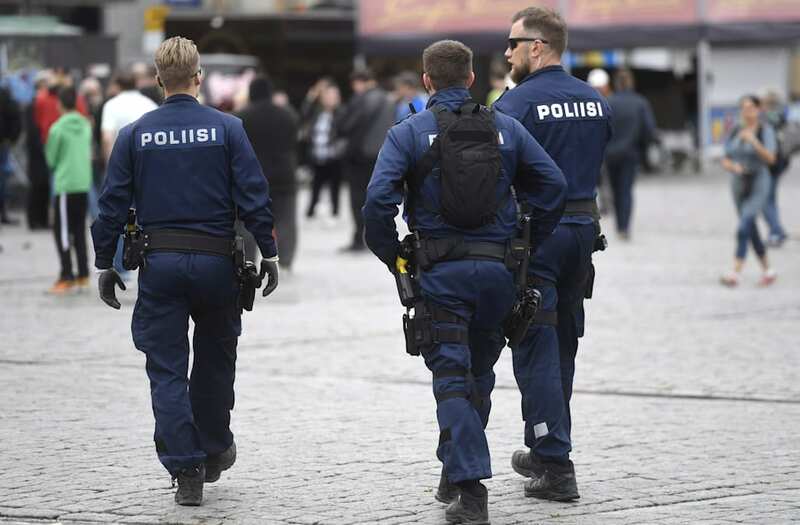 Abderrahman Mechkah, an 18-year-old asylum seeker who had no criminal record, was shot in the leg and arrested after Friday's attack in the city of Turku, in which eight other people were injured. Police say they are treating it as the first terrorism-related attack in Finland, which the World Economic Forum has described as the world's safest place to visit. Finnish police patrols on motorbike after stabbings in Turku, in Central Helsinki, Finland August 18, 2017. LEHTIKUVA/Linda Manner via REUTERS ATTENTION EDITORS - THIS IMAGE WAS PROVIDED BY A THIRD PARTY. NOT FOR SALE FOR MARKETING OR ADVERTISING CAMPAIGNS. NO THIRD PARTY SALES. 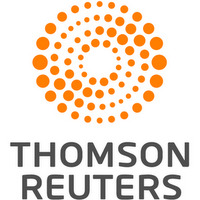 NOT FOR USE BY REUTERS THIRD PARTY DISTRIBUTORS. FINLAND OUT. NO COMMERCIAL OR EDITORIAL SALES IN FINLAND. Armed Finnish policemen on guard at the Helsinki airport, after stabbings in Turku, in Vantaa, Finland August 18, 2017. LEHTIKUVA/Vesa Moilanen via REUTERS ATTENTION EDITORS - THIS IMAGE WAS PROVIDED BY A THIRD PARTY. NOT FOR SALE FOR MARKETING OR ADVERTISING CAMPAIGNS. NO THIRD PARTY SALES. NOT FOR USE BY REUTERS THIRD PARTY DISTRIBUTORS. FINLAND OUT. NO COMMERCIAL OR EDITORIAL SALES IN FINLAND. Finnish police patrol the streets, after stabbings in Turku, in Central Helsinki, Finland August 18, 2017. LEHTIKUVA/Linda Manner via REUTERS ATTENTION EDITORS - THIS IMAGE WAS PROVIDED BY A THIRD PARTY. NOT FOR SALE FOR MARKETING OR ADVERTISING CAMPAIGNS. NO THIRD PARTY SALES. NOT FOR USE BY REUTERS THIRD PARTY DISTRIBUTORS. FINLAND OUT. NO COMMERCIAL OR EDITORIAL SALES IN FINLAND. Finnish police patrol in front of the Central Railway Station, after stabbings in Turku, in Helsinki, Finland August 18, 2017. LEHTIKUVA/Linda Manner via REUTERS ATTENTION EDITORS - THIS IMAGE WAS PROVIDED BY A THIRD PARTY. NOT FOR SALE FOR MARKETING OR ADVERTISING CAMPAIGNS. NO THIRD PARTY SALES. NOT FOR USE BY REUTERS THIRD PARTY DISTRIBUTORS. FINLAND OUT. NO COMMERCIAL OR EDITORIAL SALES IN FINLAND. An armed policeman is seen at the Turku Market Square, where several people were stabbed, Turku, Finland August 18, 2017. LEHTIKUVA/Roni Lehti via REUTERS ATTENTION EDITORS - THIS IMAGE WAS PROVIDED BY A THIRD PARTY. NOT FOR SALE FOR MARKETING OR ADVERTISING CAMPAIGNS. NO THIRD PARTY SALES. NOT FOR USE BY REUTERS THIRD PARTY DISTRIBUTORS. FINLAND OUT. NO COMMERCIAL OR EDITORIAL SALES IN FINLAND. Police officers keep watch at Turku Market Square after several people were stabbed, in Finland August 18, 2017. LEHTIKUVA/Roni Lehti via REUTERS ATTENTION EDITORS ?ï¿½THIS IMAGE WAS PROVIDED BY A THIRD PARTY. FINLANDï¿½OUT. NO THIRD PARTY SALES. NOT FOR USE BY REUTERS THIRD PARTY DISTRIBUTORS. The Finnish intelligence service said in a statement it had received a tip-off earlier this year about Mechkah. "According to the tip-off, the suspect seemed radicalized and was interested in extreme thinking," it said, while adding there was no information to suggest a threat of an attack. The service said Mechkah was not among the around 350 people it was monitoring in its terrorism prevention program. Police requested on Monday that Mechkah and four other arrested Moroccans be held in pre-trial detention. A court hearing will take place on Tuesday at 0800 GMT, with Mechkah appearing via video link from hospital. He and his lawyer have yet to respond to the accusation against him. The National Bureau of Investigation said it was requesting that he be detained pending investigation "for two murders with terrorist intent and eight attempted murders with terrorist intent." Investigators have not made clear what role the four other Moroccans are suspected of playing. They deny involvement. Police also issued an international arrest warrant for a sixth Moroccan national. No group has claimed responsibility for the stabbings, which appeared to target women. But police are investigating possible links to Thursday's van attack by suspected Islamist militants in the Spanish city of Barcelona, where 13 people were killed. Prime Minister Juha Sipila called for political unity to fast-track already planned legislation giving authorities new powers to monitor citizens online, which he said would reduce Finland's dependence on intelligence from foreign partners. "We cannot continue the current way of getting information about persons potentially dangerous to our citizens from abroad, but we are not able to investigate them sufficiently and in time," Sipila said. His center-right government will bring bills to parliament in the coming months. German authorities said the suspect, Mechkah, arrived in Germany in 2015 but did not apply for asylum there. He came to Finland in 2016 and has since lived in an immigration center in Turku, according to the Red Cross. Public broadcaster YLE, citing an unnamed source, reported that he had been denied asylum. Police have not confirmed that. Heimo Nurmi, site manager at the Red Cross reception center in Turku, said Mechkah and two of the four other arrested Moroccans lived at the center and were all asylum seekers. He declined to comment on the status of their applications, but said: "It is very difficult to get asylum if you come from Morocco. Maybe because there are no big reasons to have it granted." In 2016, 155 Moroccans applied for asylum in Finland. Only 20 were granted. The owner of a nearby pizza joint, who gave his name as Palani Jaffi, told Reuters that Mechkah had looked depressed. "He was a regular customer. First, he was part of a group of Moroccans, but during the summer, he started coming alone. He started to look really angry and violent, a bit scary. He often talked to himself." He pointed to a park outside the shopping mall. "All his friends went to play football, but he was just sitting alone on a bench." Other Moroccans living in Finland said they were upset by the case. "My friend who is living far in the north, he told me he stayed home for the weekend. It means he is ashamed, afraid. We really tried, and still try, to give a good image of ourselves," said Youssef Edahbi, who is of Moroccan origin.